LOUISVILLE, Kentucky -- When a mother told her son he needed to get a haircut over the weekend, he made a surprising request. Jax, who turns 5 this week, told his mom he wanted to shave his head so he could look like his friend, Reddy. According to him, the only noticeable difference between the boys was their hair style. "He said he couldn't wait to go to school on Monday with his hair like Reddy's so that his teacher wouldn't be able to tell them apart. He thought it would be so hilarious to confuse his teacher with the same haircut," Lydia Stith Rosebush wrote on Facebook. 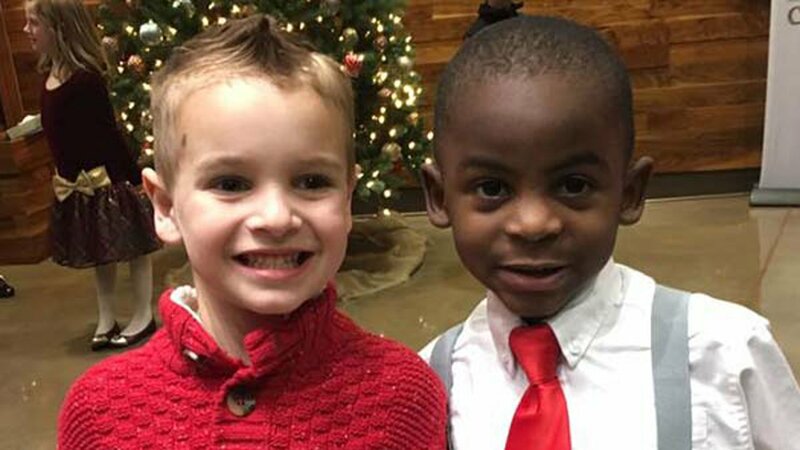 Rosebush shared the heartwarming story on Facebook with a picture of both boys side by side, writing: "If this isn't proof that hate and prejudice is something that is taught I don't know what is." Rosebush's Facebook post has already been shared more than 22,000 times since she posted it on February 24. "It's about friendship and love and the innocence of children," Rosebush told ABC 7. You can read Rosebush's entire post below.